Our military men and women on active duty are often called upon to put their lives on the line while often enduring living conditions most of us would consider cruel and unusual punishment. They also endure spending months away from their loved ones, who may be facing financial struggles in their absence. If anyone deserves to benefit from government programs, they do. And fortunately there is some help available to these families. In 2003, President George W. Bush signed the Service members Civil Relief Act (SCRA), which expands on the Soldiers and Sailors Civil Relief Act of 1940. One of the most beneficial provisions of this act regards debts that the service member incurred prior to entering active duty. Under SCRA, creditors may collect no more than 6% interest on these debts during the period of active duty. While many home loans are already less than 6%, this provision also extends to car loans and credit card debt. The interest forgiven during this time may not be added into the principal balance, and the monthly payment must be reduced to reflect the lower interest rate. Once active duty is terminated, the payment will return to it’s pre-service level. The catch is, it isn’t automatic. The service member must request the interest rate reduction in writing and must submit several documents – including a copy of military orders. Also note that this provision doesn’t extend to new debt incurred during military service. The law allows for termination or cancellation of real property leases when a service member is re-assigned. It also allows for termination of automobile leases without penalty. A provision of the Joint Federal Travel Regulations assists with a hardship that is not only possible but likely in the current housing climate. This provision establishes that local moves can be paid for by the military if a service member is forced to move because his or her landlord has been foreclosed on. Help with taxation: We know that many reserves who are called to active duty leave high-paying jobs to serve on active duty. Thus, their spouses are forced to scale back on living expenses and try to fill the income gap with additional employment. Another provision of the SCRA prevents a form of double taxation that can occur when a spouse works and is taxed in a state other than the state in which they maintain their permanent legal residence. Under SCRA, states may not use the income earned by a service member in determining the spouse’s tax rate. For military families who need financial advice, financial counselors, financial planners, and tax consultants are available at military installations and on line at the Department of Defense Military OneSource website. 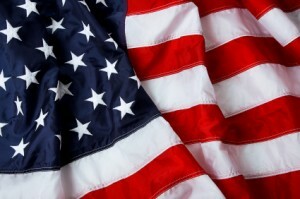 Military members and their spouses are entitled to 12 free sessions per year. Are Short Sales Really Beneficial? 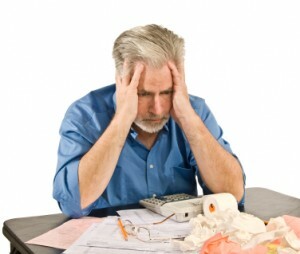 -A short sale is the sale of your home for less than the balanced actually owed. 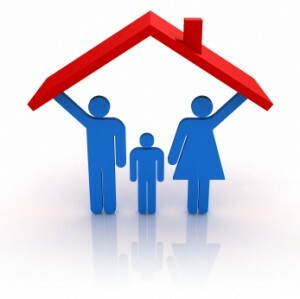 -A foreclosure is where the bank pursues legal action to take back your property and all equity. When you start the short sale approval process the bank will require you to send them a financial statement. The bank will also require you to be behind on your payments to even be considered for a short sale. The approval process can be an extremely frustrating experience. Once you have entered into the short sale process you are now dealing with the banks loss mitigation department. In short you are dealing with attorneys now. There is a chance this department could deny your short sale application. You must meet their requirements to get a short sale approved. Let’s assume you are approved. This approval does not guarantee all offers on your home will be accepted. 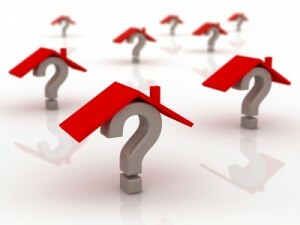 The short sale approval process means they will allow the sale of your home for less than what you owe. The next stage of this entire process is getting the bank to accept an offer from an actual buyer. When you get an offer on your home this process will take about 45 days to get an answer. During this ordeal your credit score is dropping because you are no longer making your mortgage payments. There is also a slight change you will not get approved for this short sale process anyways. The reason you are signing up for this process is because you were told a short sale is better than a foreclosure right? Here is what you have not been told…. I would assume you are avoiding a foreclosure on your record so you can buy a home in the near future. Well, 99% of all short sale participants receive a 120 day mortgage late payment on their credit report. Did you know in the eyes of a bank this is considered a foreclosure anyways? I bet no one told you this. Well I will be the first to tell you. My professional opinion short sales are only beneficial for the bank and the real estate agents involved. The agent gets commission for the sale, and the bank gets the potential mortgage problem off their balance sheet. So don’t fall for the short sale pitch, in the end a short sale is not as beneficial as some claim. There is however a slight chance you could sell your home before you get a 120 day late payment. The likelihood of you selling your home in a couple of months in this current market is slim to none…..
You may or may not believe in Feng Shui, but one of its primary rules will help rescue your finances and even increase your credit scores. 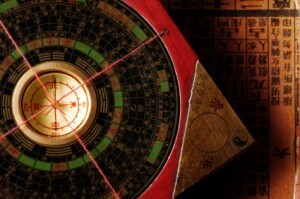 It represents money – all of it. Those things piled in corners and stuffed in drawers are all things you or someone else bought with money. And there it sits, taking up space, gathering dust, and costing you time and trouble every time you have to dig through it and around it for something you do need and want. If you have too much of it, you may have purchased shelving systems, or even be renting space somewhere to store the excess. And of course, the clutter and chaos in your finances cost you even more. That clutter can cause you to bounce checks, be late with payments, miss tax deductions, and more. And all of that results in a serious drain on your finances – not to mention the damage to your credit scores when the chaos causes you to miss payments. 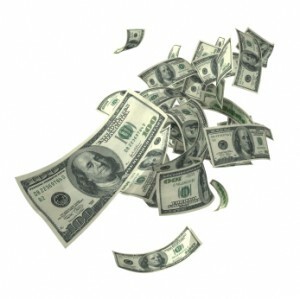 Suze does believe that money has a life force of its own, and that it has its likes and dislikes. It doesn’t like being stuffed in a drawer and hates being spent on useless things. Suze recommends taking a good look at the “stuff” you have surrounding you. Then, if you don’t love it, use it, or need it – get rid of it. And there can be the beginning of your upward climb financially. After you deposit the actual “junk” in a trash bag, you can turn the rest of it into cash at a yard sale or on eBay, or you can enrich someone else’s life by donating it. The next step involves the future. Learning the difference between “want” and “need” – and disciplining yourself to buy only what you actually need – can go a long way toward clearing the financial clutter and having the money to pay all your bills on time. And that will lead to high credit scores – and eventually, a fat bank account. When tax escrows are set up based on the value of the unimproved lot, new home buyers are in for a nasty surprise when the actual taxes are based upon the value of the lot with the new home. I needed to bring this subject to light again. I recently received another call from a lady who wanted to take legal action against a new home builder. The issue was in regards to her escrow shortage. Don’t get me wrong I am not saying all builders are the bad guy. I agree ultimately the homeowner is responsible for what ever type of loan they get. There is however issues with how the builders mortgage company set up tax escrows. Tax escrow shortages have contributed too many foreclosures across the country. I don’t have actual numbers but I would be willing to bet new home construction foreclosures are higher than existing homes. Here is what you need to know to protect yourself. Escrow shortages- this happens when the builder’s mortgage company collects taxes based on un-improved property taxes. Let’s assume you paid $300,000 for your new home and the taxes on that home are based on $30,000. This is an example of how taxes would be on recorded for that particular property. The mortgage company would collect a tax escrow based on the un-improved value of $30,000. This is where your escrow shortage takes place and causes issues down the road. The correct way to set up your escrows on a new home is for the mortgage company to collect the taxes based on the percentage rate in your city. So if taxes are roughly 2.5%, then the builder would collect taxes on 2.5% of $300,000. Unfortunately this typically is not being done with builders. Escrow shortages can be avoided with better regulation within the builder and mortgage community. A disclosure is provided by mortgage companies at closing stating they are collecting un-improved property taxes. During this entire process most home buyers are not clear on this issue and just sign this disclosure. Just like any other industry with better regulation and accountability most of this could be avoided. Make sure you avoid this issue if you are about to buy a new construction home. This particular escrow issue has caused unnecessary problems due to a lack of proper explanation to the buyer. During the home buying process make sure taxes are set up correctly if you buy a new construction home. Don’t allow the mortgage company to set up your escrow based on un-improved taxes. A escrow shortage will result in a foreclosure that stays on your credit report for 7 years. Buyer beware……. This morning a good friend called to tell me about a problem they’re facing. They’re retired folks and she had told me before that since her husband has nothing better to do with his time, he checks their bank accounts daily. Well, yesterday she was glad that he has this compulsion. When he checked in yesterday, he found that their checking account balance was $2! He also found 4 different debit transactions that didn’t belong to them. They live in Idaho, and the transactions were at Home Depot and WalMart – in North Dakota! They were obviously not done at the check-out counter, because 3 of the $300+ transactions were posted within about a 2 minute time frame. So, this is being done electronically. The interesting thing is that the first charge, for only $10, was done a few days earlier – and in spite of his checking, he missed it. We can assume that it was a “test” debit to see if the charge would be accepted. They immediately went to the bank and were assured that these debits had not yet been approved and would not be. But she was dismayed when they checked again today and they’re still showing. She had called and the person she spoke with said “Oh, I guess we didn’t get that taken care of yesterday…” When we hung up they were on their way back to the bank. But that’s not all they need to do. I sent her the link to our “What to do” post and urged her to take the steps outlined there. Meanwhile, they’ve written and mailed checks against their (true) balance and are worried about overdraft fees if those checks come in before the bogus debits are removed. Or worse – what if the bank decides to bounce the checks? The bank says “Don’t worry” but they’re worried. After all, they didn’t post an alert about the theft and deny those charges yesterday as promised, so…? We can’t tell you a way to prevent this kind of scenario – aside from not using credit or debit cards. And even then, if you’ve ever had a home loan or visited a doctor’s office, or done anything that required revealing your Social Security number, you’re at risk. Smart crooks have found ways to access records – and even figure out your PIN numbers. Credit monitoring services such as those we offer here will let you know if a thief is accessing your credit report or trying to set up new accounts in your name. They’ll let you know of changes to your file – such as a change of address attached to a dormant account that is now in use. But to be absolutely safe, you do need to check your bank accounts and credit cards regularly. Actually read every statement you receive, and access those accounts on line a time or two between statements. 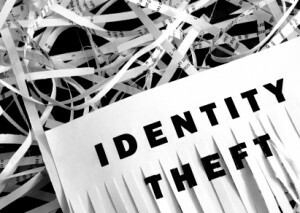 The sooner you put the brakes on an identity thief, the less trouble you’ll have. Does the credit score that the bank receives and the one that you can get directly from Equifax differ? How fast can your score go up? Would it be unlikely to go up 60 points in less than two weeks? Hi Summer I will be glad to answer your questions. The credit score the banks use is typically the FICO score, and the credit score you get with Equifax is FICO as well. This is the only credit bureau that provides the FICO credit score to consumers. So the credit score with the bank should be about the same if you pulled your credit score with Equifax at our site. In regards to increasing your credit score 60 points within 60 days, I personally have not seen that done yet with anyone that I have helped. I have however seen credit scores increase 20 points or so in a few weeks. In order to get credit scores up 60 points, could take a longer. It really depends on what your credit report looks like and what actions you took to get your score up. Everyone’s situation is different. 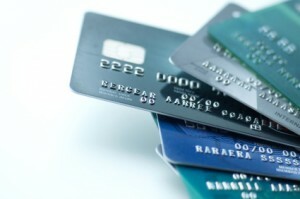 Check out my article on increasing your credit scores…….. When the Credit CARD Act of 2009 was passed it gave credit card issuers plenty of time to implement the changes. A few minor changes went into effect last year, then many more this past February. Now the final rule limiting unreasonable fees is set to go into effect on August 22. One change that may affect you immediately is the provision which not only requires your credit card company to give you a valid reason why before they increase your interest rate, but demands that they re-evaluate any rate increases made since January 1 of 2009. Under the present rules, they don’t need a reason other than “I want to.” Now the reason must be tied to your use. Taking it one step further – if they do increase your rate “for cause,” they must re-evaluate that increase every 6 months and reduce it if the reasons for the increase have changed, making you a better risk. Another sweeping change involves late fees. Right now, your credit card issuer can charge you a $39 late payment penalty, even if your total balance is less than $39. Under the new rules, that penalty cannot exceed $25 unless this is your second (or more) late payment within the past 6 months. And, even better for consumers carrying small balances, the late fee cannot exceed the minimum payment for that month. So if your minimum payment was $18, the late fee cannot exceed $18. This rule does have a built-in “out” for the credit card issuers, however. They can charge more if they can demonstrate that the costs they incur as a result of late payments justify a higher fee. One change that could have an adverse effect on consumers is the outright ban on inactivity fees. Prior to the CARD Act, credit card issuers could charge a fee just to keep your card actively on their books awaiting your future use. Now that they will not be allowed to charge an inactivity fee, many card issuers are turning to an annual fee that will be charged to all card holders across the board. However, in researching various cards, we see that some issuers are promising a refund of that fee if annual usage exceeds a set dollar amount or number of transactions. Check your cardholder agreement to see if that applies to you. Checking will soon become easier, because the new rules specify that all cardholder agreements be posted on line – so that consumers considering a new card can see the details before they sign on. It also allows current cardholders to see the effects of any activity they might be considering… such as using the card for overseas transactions. I have been a lender for many years and I have always told everyone that buying a home is better than renting. I still agree with this because I have rented and now own. Now when it comes to being a bad investment, I don’t think most realize what I am about to discuss. I was visiting with a gentleman whom at the time was not my stock broker but my friend was using him for money management. I was in his office and he did an analogy of how a home is a bad investment. Here is what he said…… You buy a home usually for what the house is worth. The average interest rate is 6%. If you are lucky the value of your home will increase by 3% every year. You pay taxes and insurance on the home and inflation is typically 3% per year. So if you take in account the cost to maintain a home, inflation at the rate of 3% you have a bad investment. Why, because if you do the math you are in the red. This is the case with most home owners. So you are probably scratching your head asking when a home could possible be a good investment? Well here is an example of how a home might be a good investment. You meet with a realtor and start looking for a home. You mention to the realtor that you are looking for a home with at least 20% equity in the home or you have no interest in buying the home. In this case your purchase could be a good real estate investment. Make sure you take into account declining real estate markets. This is going on everywhere. So if you find a home and get an accepted contract on that home for at least 20% less of its appraised value you could have a good investment. In most instances this is hard to find or is very competitive. I don’t want to kill the American dream, but buying a home can be a bad investment after you take in account inflation, taxes, home owners insurance, loan interest rate, and the cost of home maintenance. I personally would rather own, but make sure you are clear on the factors discussed in this article before buying or you could end up with a money pit.